We don’t talk about gear very much here on the Musicbed blog, but when we found out our friends Casey Warren and Danielle Warren (a.k.a. 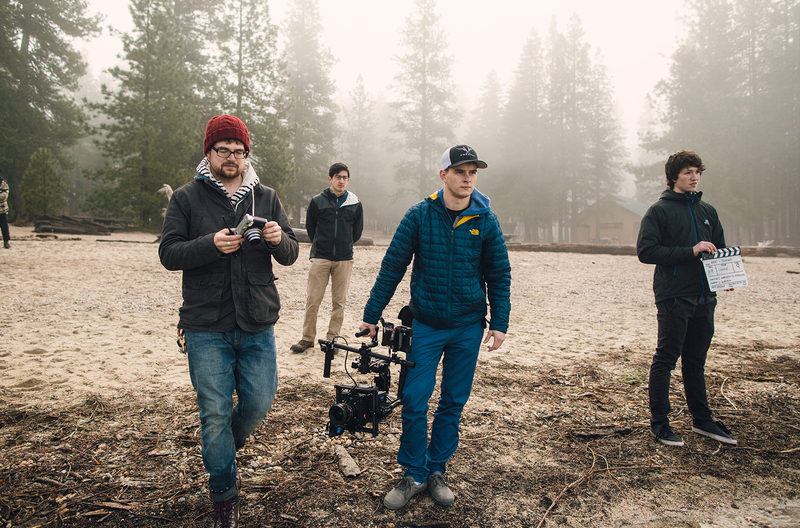 MINDCASTLE) had gotten their hands on the first ARRI ALEXA Mini, we wanted to know what they thought of it. 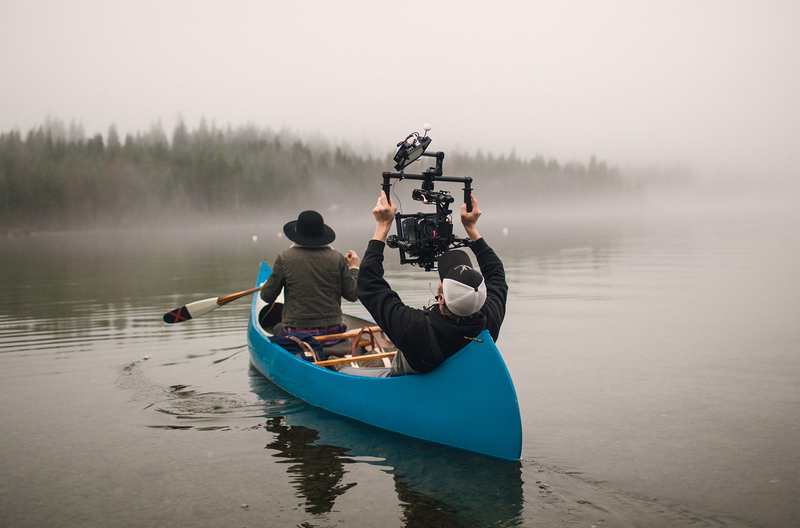 As filmmakers, gear is an inextricable part of our creative lives, whether we’re using our iPhones or the latest high-end wonder. So while we don’t like to focus on the equipment of filmmaking too much (plenty of amazing publications are already doing that so well), we can’t help but geek out a little from time to time. Here’s our conversation with Danielle and Casey about the new ALEXA Mini. How come you guys got to test out the new ALEXA Mini? Casey: Over the past several years since we purchased our ALEXA M, we’ve gotten to know some of the people at ARRI. We were introduced to Michael, who is the product manager for the ALEXA Mini, and told he was working on something very exciting that we might be interested in. At NAB we met with him, and he told us he’d like our feedback on something he was working on. He then showed us a really early version of what would become the ALEXA Mini. Michael had also gotten in touch with Tabb Firchau, one of the owners of Freefly Systems. We’re good friends with Tabb as well. So over the past year, Tabb, Michael, Danielle, and I have been going back and forth about different design and functionality ideas for the camera ARRI was developing. Casey: Yeah, what inputs, what features, what functionality. We like to shoot small and light. We want the ability to put the camera in a lot of different places. Often Danielle and I are shooting on smaller, more agile sets where we might have only one camera. 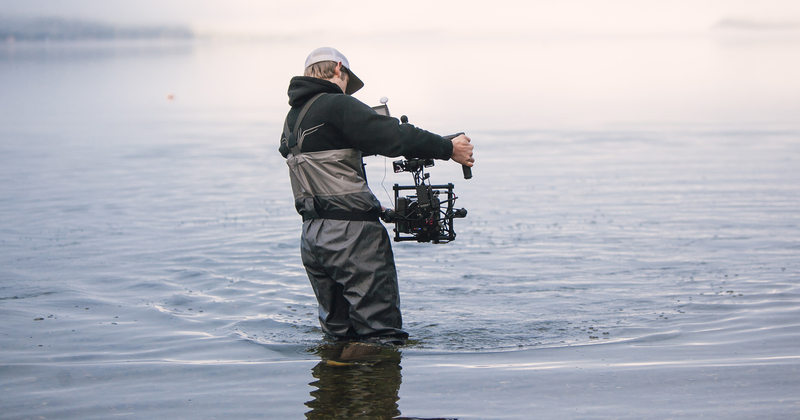 And that camera needs to go from, let’s say, a MōVI to being handheld very quickly. 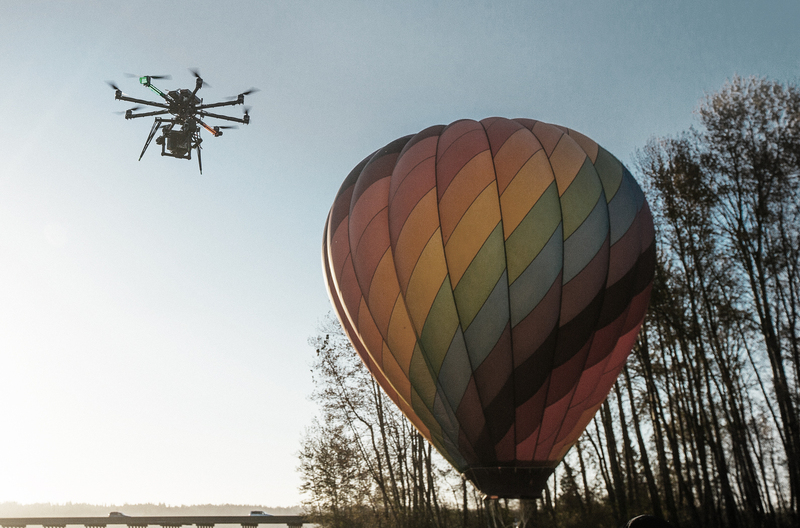 Danielle: We also wanted it to have audio inputs and be a full production camera, in addition to being light and compact enough for multirotor helicopter rigs. 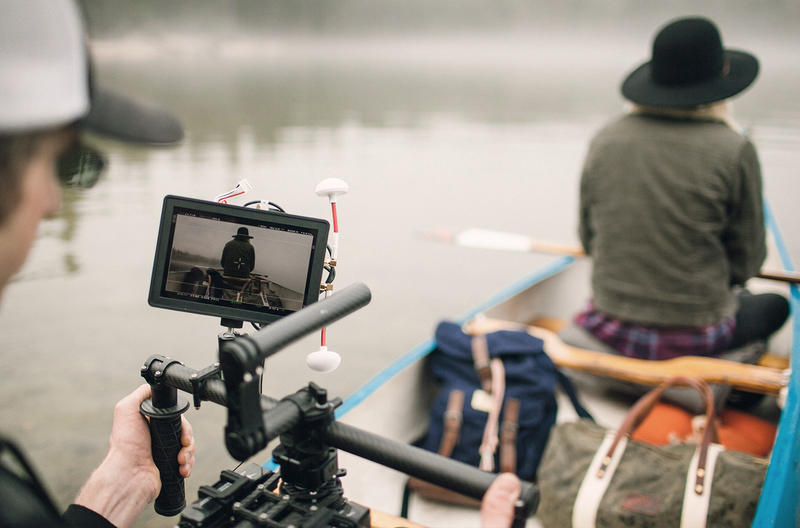 We wanted it to be our primary camera, not just a B cam for specialty shots. Danielle: We went back and forth for eight months or so. Then in October of last year, Michael came to Seattle with a preproduction camera. Danielle: Yes, a prototype. He came to Seattle so we and Freefly could test it. But after seeing the camera, we all decided we’d rather go out and do a shoot together instead of just testing it in the office. 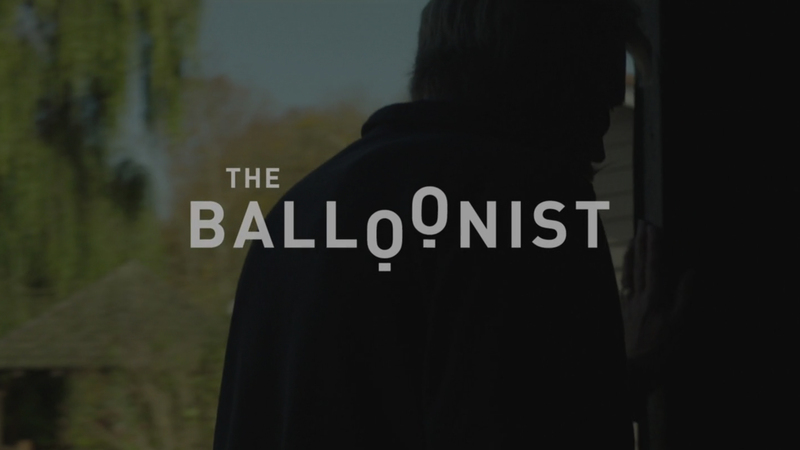 So within 24 hours, we set up what became The Balloonist. We storyboarded the whole thing, and then, after meeting the pilot, we set up an interview. We ended up filming for four to five hours that day. You guys just happened to have a balloon guy you could call within 24 hours? Casey: No, we actually did a ton of planning and scouting for the short amount of time we had. 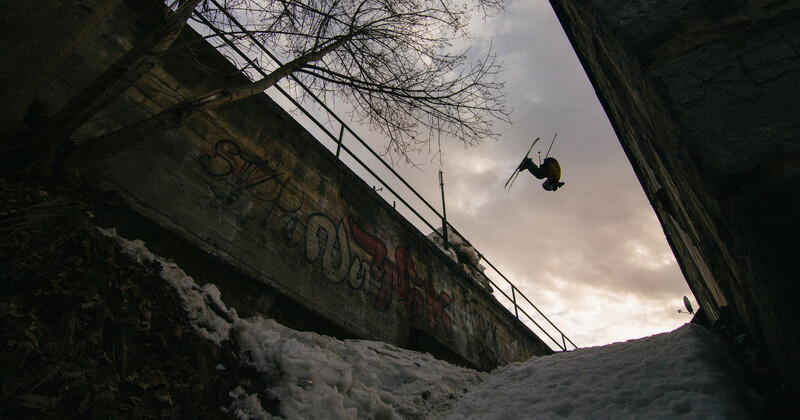 We wanted to film something that would show off what you could do with the camera, and we knew we wanted to film something with aerials. 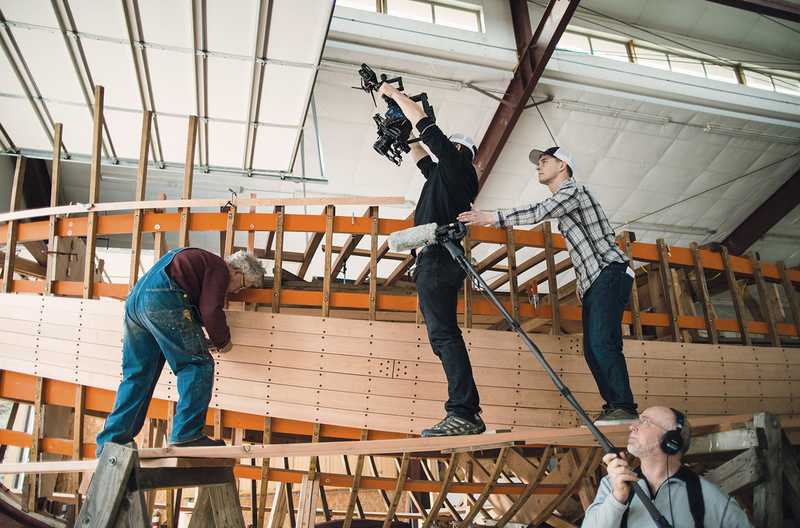 Hugh Bell at Freefly came up with the idea of filming a hot air balloon. Putting the ALEXA Mini on the helicopter was, I believe, the first time ever that an ALEXA has been flown on an RC drone of this size. So everyone was really excited. Danielle: Freefly happens to be located in this valley where tons of hot air balloons launch. Casey got on the phone with a balloon company and asked if they were available the next day. Casey: Actually, several balloon companies. The weird thing about The Balloonist is you’re using the newest form of flight to capture the oldest. 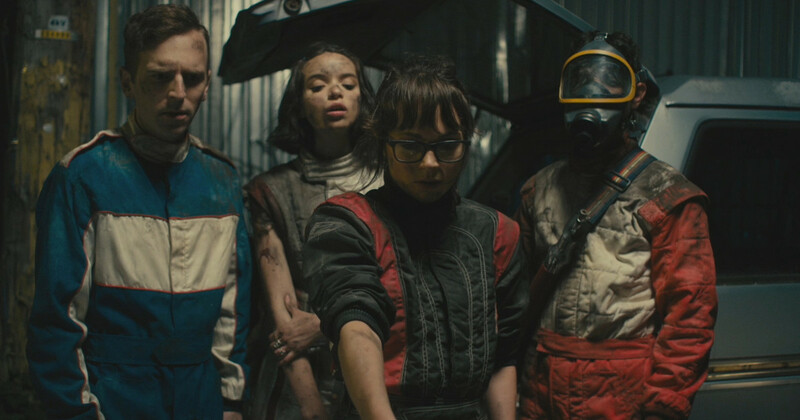 Casey: That’s why the pilot became the focus. He loved ballooning. He was obsessed with this ancient art. Our interview with him probably lasted an hour, and he told us the entire history of ballooning. But I was thinking the same thing, This is so cool — the oldest form of flight alongside the newest. Danielle: He invited us to a party. Casey: The 200th anniversary of ballooning. Danielle: We couldn’t have found a better guy who was so authentically in love with balloons. 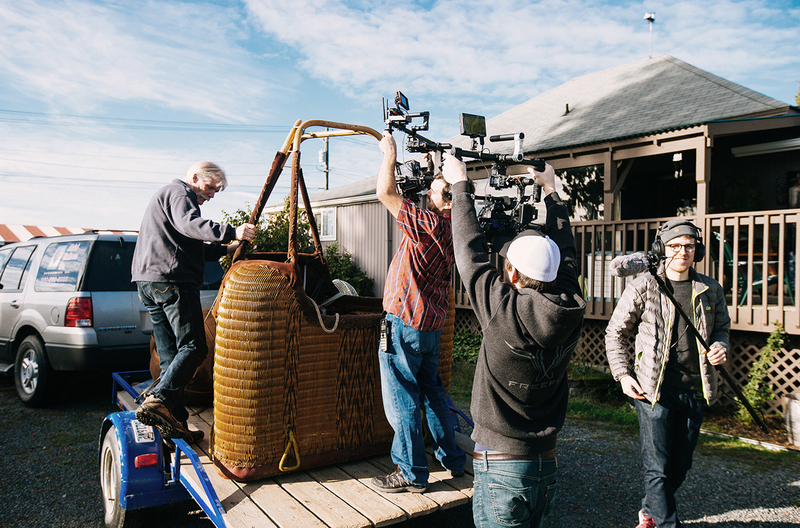 ARRI really loved what we did with The Balloonist, so they reached out in January and asked if we wanted to do another thing for them. We pitched them the idea for The Journey and they liked it. So we’ve been working on that since January. I’m guessing the functionality of the ALEXA Mini played into the concept of the film? Casey: It’s the idea of: Where would you take this camera if you could go anywhere with it? The voiceover for The Journey came from our journals, from when we were hiking outdoors. That’s one thing we’re really passionate about, and we wanted to make a film that reflected that passion. Danielle: The voiceover came first. Then we had about three weeks of preproduction, which is kind of short for all of the concepts and locations we had in mind. We wanted to put the camera in a variety of situations to show off how it could be used. We ended up rigging it from the ceiling, putting it on pulleys, pretty much doing everything we could think of. Which scenes were shot on pulleys? Danielle: There’s an overhead shot of Peter, the boat builder. 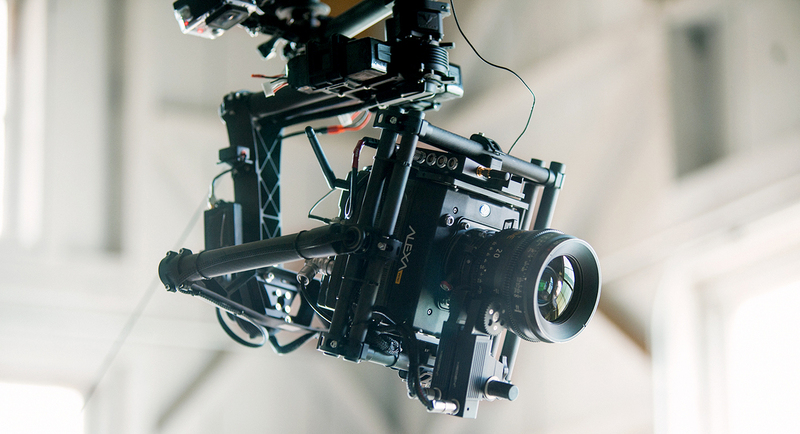 We basically rigged the camera on a MōVI on a rope above him, so we could do a straight-down shot. Were these shots you wouldn’t have been able to get with the ALEXA M? Casey: Pretty much everything would have required much more setup. Drones, for example. You can’t put any other model of ALEXA on a drone. We flew with one of Freefly’s new helicopters called the ALTA. Freefly designed it so those spider arms will fold into themselves. So you can put the helicopter on your backpack and go hiking with it, and then you just unfold the arms and it takes off. 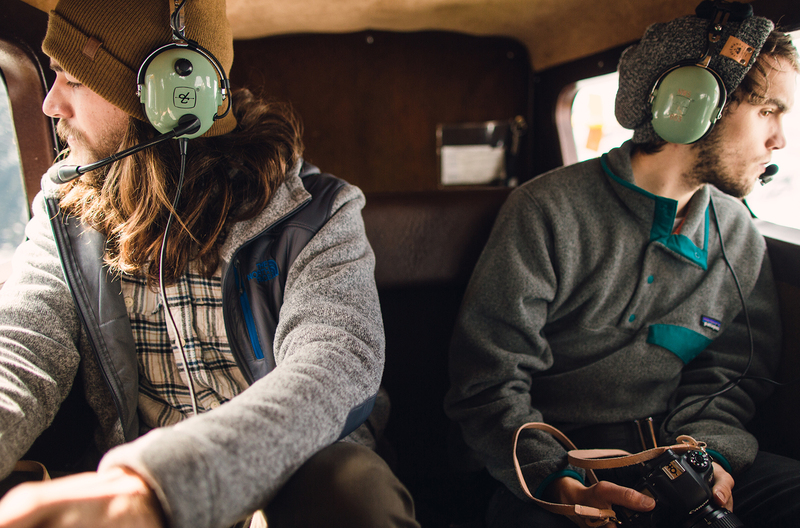 There’s a scene where you’re tracking with an airplane. That wasn’t shot with a drone, was it? Danielle: We did a little of both. 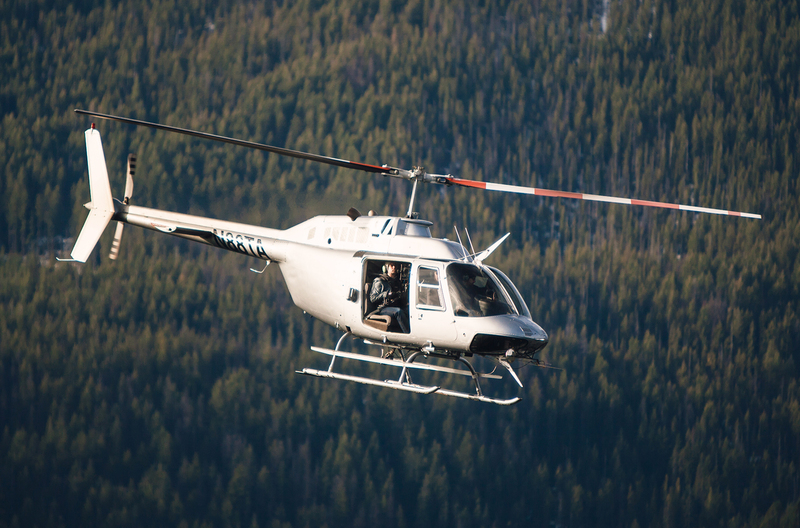 That day, we shot with a full-sized passenger helicopter in the morning. Then the passenger helicopter went home, and the rest of the day we shot with a drone. Casey: One cool thing was that while we were in preproduction, Freefly spent a lot of time developing new mounts and battery mounts and things specifically for this camera. For example, when we said we were planning to film out the door of a full-sized helicopter, they were able to develop a new rig just for that. So the whole time Danielle and I were working on the creative side of the story, they were working on the technical side. Danielle: First of all, we love the subject matter. Second, we love the camera. 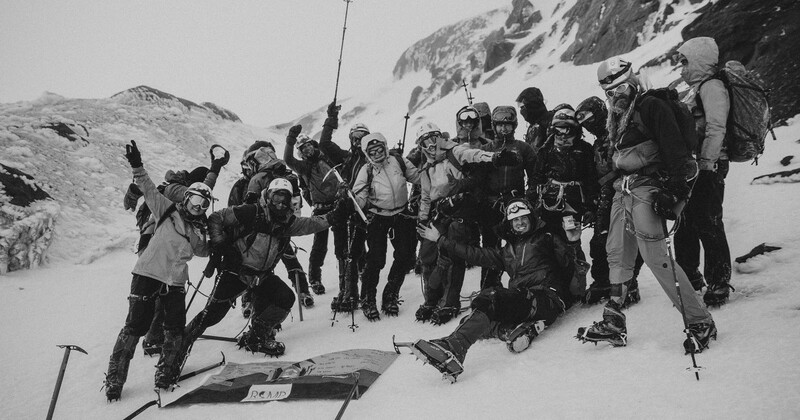 And we enjoy working with the people at Freefly. In a way, it was like pitching one of our dream projects. Getting to work with an awesome crew and a creative we were really excited about made us put even more energy into it. Casey: I think anytime you can make a project for a client that is also personal, you naturally become very passionate about it. Like I said, the voiceover came from my own journals. 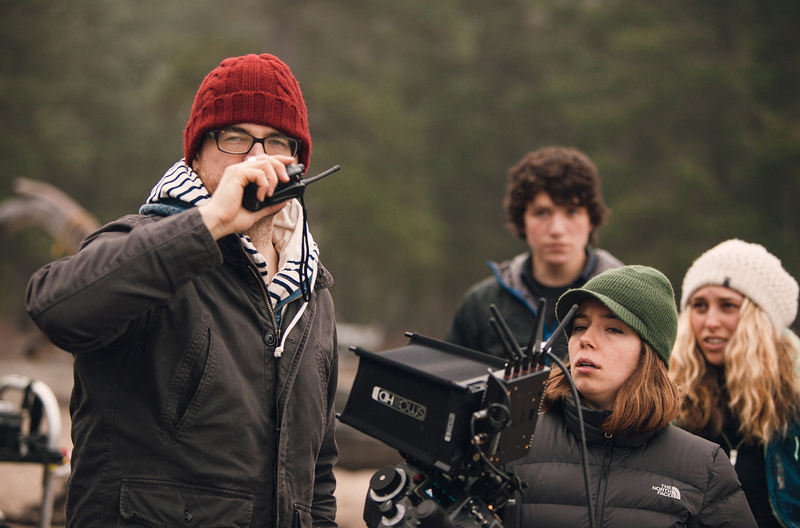 Most of the ideas I get for films come to me when I’m outdoors experiencing the world. That’s where I find my passion for filmmaking. So it was great to make something that reflected that. I think anytime you can make a project for a client that is also personal, you naturally become very passionate about it. 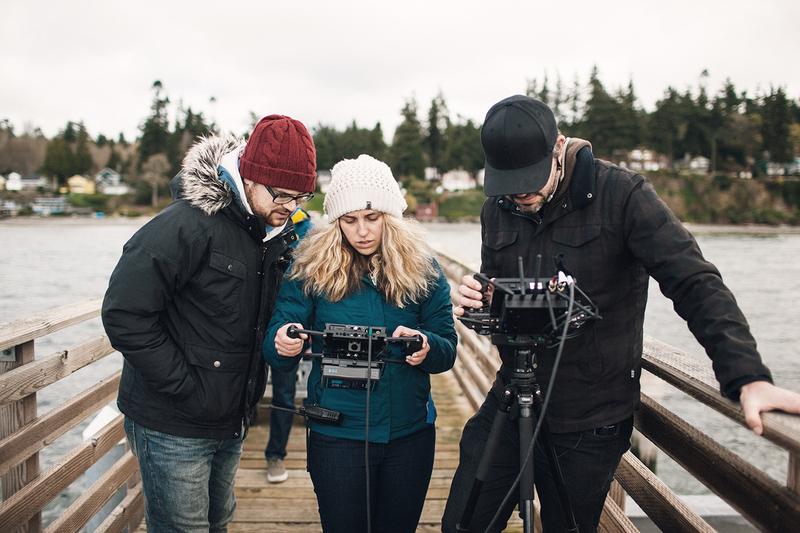 Did you like shooting with the ALEXA Mini? Danielle: As a lot of people have pointed out, the ALEXA Mini is not the first camera to be this small by any means. 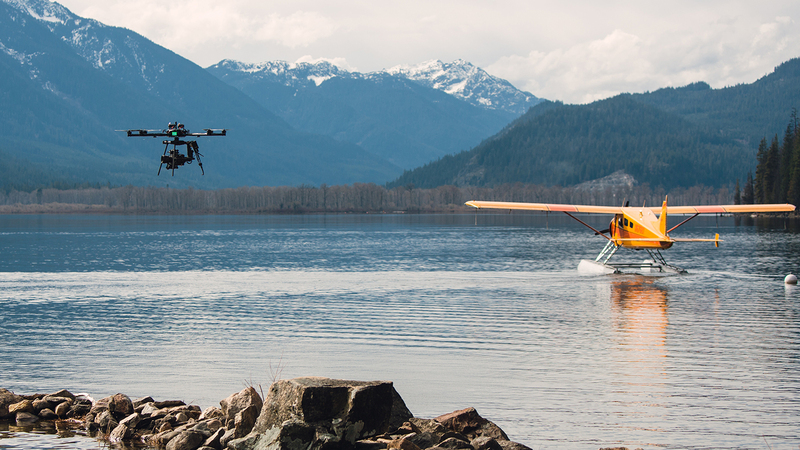 But for us, we love the images that come out of the ALEXA line of cameras. Our clients love them too. The tones are beautiful. And once you start shooting with it, you fall in love with that look. The only thing holding us back with the ALEXA M was that it’s so big. Casey wears half the camera on a backpack. It’s strenuous. Casey: The regular ALEXA — just the body without a lens or any accessories — weighs something like 12 pounds. When you get it fully equipped, it can often be close to 20 to 30 pounds. I definitely wanted it to be 4K. And I hoped it would be able to shoot onboard RAW. And that’s kind of what exists in the ALEXA Mini now. It shoots 4K UHD on the CFast 2.0 cards, which are very small and reliable. And it also records ARRIRAW internally. We love the way film looks and feels. If we could shoot on film and it were as easy to do as digital, that would be awesome. But that’s why we gravitated toward the ALEXA. It’s the closest you can get to real film. Like Danielle was saying, there are definitely smaller cameras out there, cameras with more features. But for us, it’s all about the image. What type of filmmaker do you think this camera is right for? Danielle: Here’s the thing. Everyone should use whatever works for them, their clients, and the story they are trying to tell. I’d never tell someone they need a certain type of camera to reach a certain level of filmmaking, or because they are a certain type of filmmaker. It doesn’t really matter. Casey: For us, this camera is a game-changer in the way we shoot. 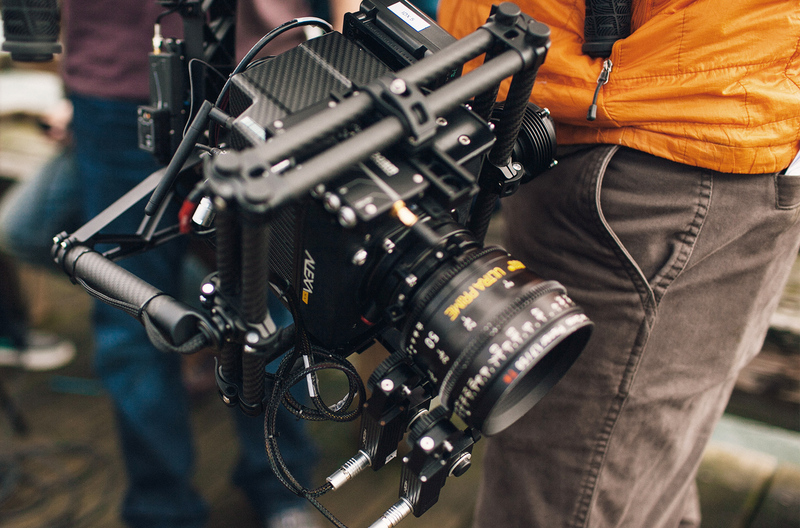 It’s not like the 5D Mark II that changed everything about small camera indie filmmaking. But because we were using such a bigger system, this camera takes us back to the way we like to shoot — very compact, streamlined, light, and mobile. A camera is like a paintbrush. It’s how you use it that matters. No camera wins or beats all the others. I’ve seen stuff that’s been shot with a GoPro, and it’s graded and looks as good as a $100 million movie. I mean, they occasionally use GoPros in $100 million movies. For us, the ALEXA gives us that film look we really love. Danielle: It’s a big jump from DSLRs to a higher-end camera system. It’s going from a $2,000 camera to a $100,000 camera. One of the reasons we made the jump is because of the type of jobs we were getting. 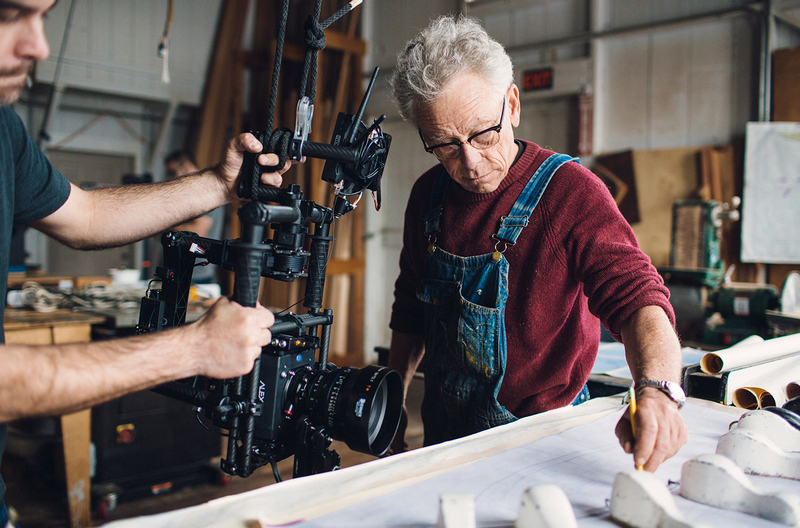 We were working with producers who said, “We want to hire you, but we have these sheets that say we have to hire somebody with a certain level of camera.” The business side, as well as the creative side, might be a factor in what you choose. 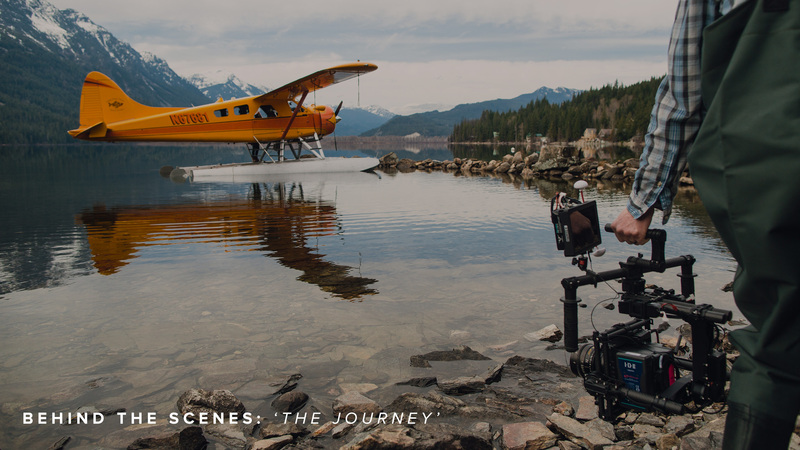 The people who will benefit the most from the ALEXA Mini are filmmakers who are doing a lot of high-end work but operating the camera themselves, without a big crew. Casey: I do think the camera being smaller and lighter helps everybody. It helps the operator, but it also helps the whole crew. As technology gets better, it has a positive effect all around. It’s not just about size. It’s about the cards loading quicker, the camera turning on quicker. The normal size ALEXA models take between 30 and 60 seconds to turn on. 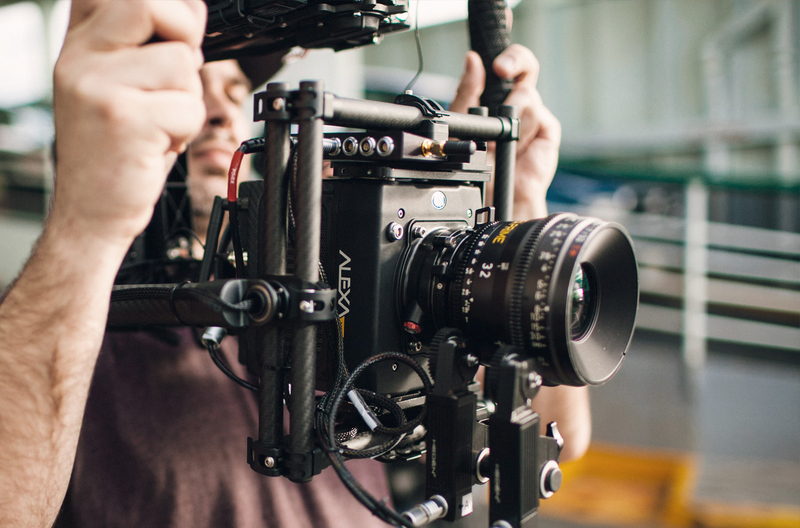 The ALEXA Mini turns on almost instantly. It’s not something you think about until you’re out there shooting, and you realize you’re missing things and wasting time. Is the fact that the camera looks super cool a factor for you guys? One cool thing Michael did with the camera ergonomics-wise was put the center of gravity in the front section. 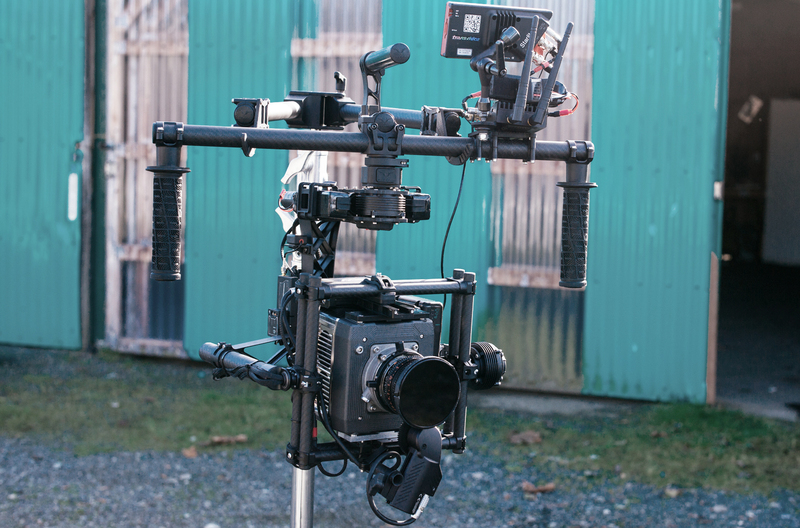 Once you put a lens on it, the center of mass is now in a better spot for balancing on gimbals and things like that. There’s functionality in the design as well. It’s like when a film looks good but also has a good story. Form and function put together… Danielle’s laughing at me. Danielle: He could talk about this for hours. 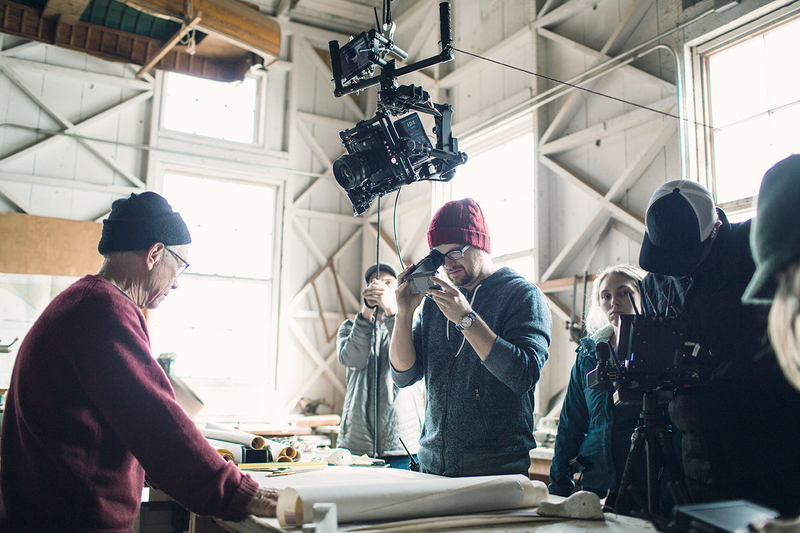 Thanks to MINDCASTLE for chatting with us about their experience with the new ARRI ALEXA Mini. We totally agree your gear should not be the point. Everyone should use the tools that work for them — no matter how lowbrow or prestigious. Still, that little ARRI looks pretty damn cool.